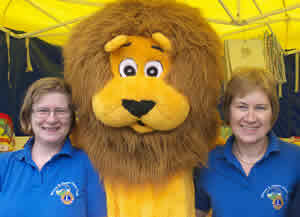 Harrow and Pinner Lions Club are members of Lions Club International, a community service organisation dedicated to the idea that the men and women who live in a community are in the best position to know who needs help and why and then provide that assistance. We work in the local community, carrying out fundraising activities, providing services and assisting local groups and residents. All of the funds that we raise are spent on helping others and providing assistance, 95% of which is spent in the Harrow and Pinner area. All of our members are volunteers who care about where they live and the community as a whole, who give up some of their free time in order to carry out these duties. It’s not all hard work – we have a lot of fun too! Take a look at our pages to find out more about us and what we get up to!